Description: In the world of SEO, backlinks are still very important for your rankings. And when you're trying to outrank your competition for a certain phrase, it helps to know what backlinks they have, so that you can try to duplicate or improve on their link and SEO strategy. 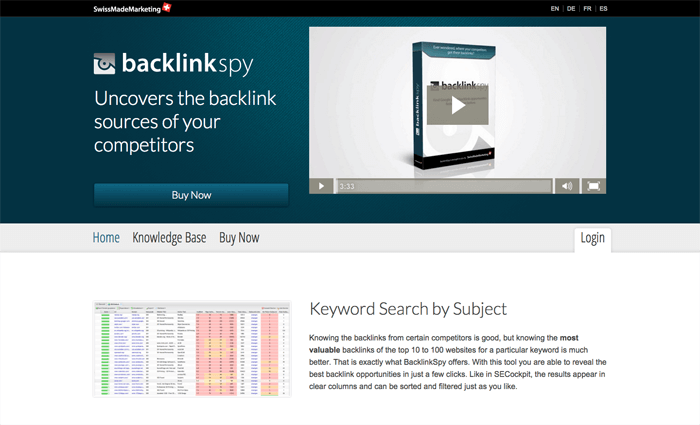 Backlink Spy helps you do that easily. Description: Free tool that shows what technologies a site is, well... Built With. Description: Discoverly is similar to Rapportive in that it shows social networking information on someone at a glance. But it goes way further and shows you Facebook information for someone when you're on LinkedIn, Facebook and LinkedIn information when you're looking at someone on AngelList, etc. 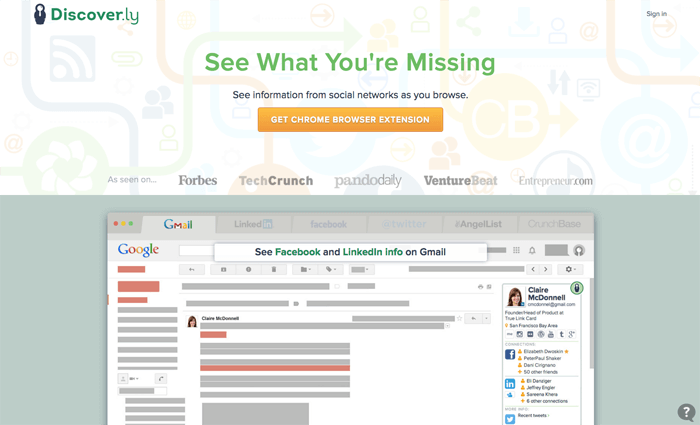 If you want to get the gist of someone's social media presence at a glance from their profile on any site, grab this Chrome browser extension. 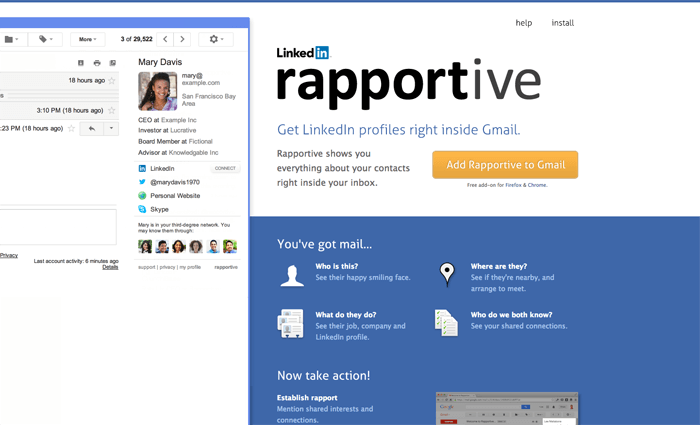 Description: My favorite plugin for Gmail, Rapportive automatically pulls up the LinkedIn and Twitter profiles of the person sending me the email. That makes it obviously super easy to both follow them on Twitter if I'm so inclined, or request them on LinkedIn. And if I request them on LinkedIn via Rapportive, I don't have to specify if they are a friend or coworker or anything, which makes the request that much easier. 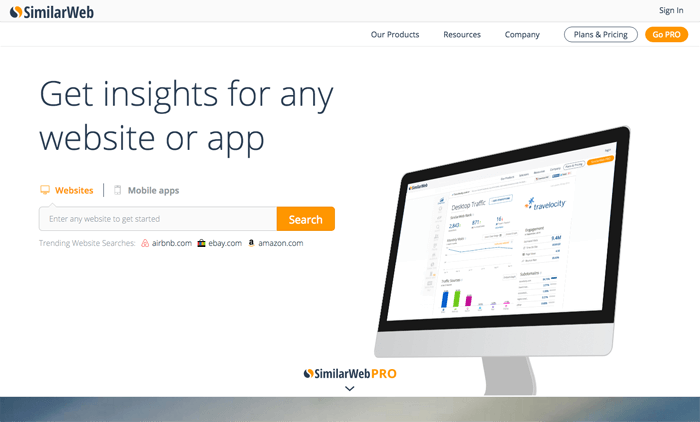 Description: If your competitors have a large amount of traffic, SimilarWeb can return a ton of information on them, like how they get traffic, who else is similar to them online, their biggest direct sources of traffic and so on. Pretty powerful way to look at your competition's online presence and traffic network... and then go after it. 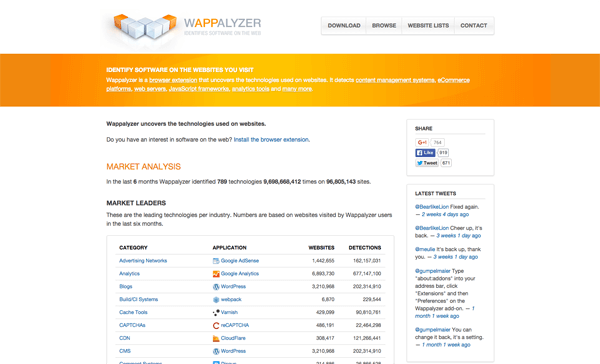 Description: If you want to know what other people are building their sites on, Wappalyzer is a browser plugin that will show you that information when you visit the site. They also have huge lists available of sites that are run on certain frameworks, which could be very valuable if you are trying to market a service to sites that are built on Bootstrap for example.